"This comical children's tale about the funny adventures of a funny pig written by an unknown author. The publisher has hired authors to write children's tales, and gave them "house names". 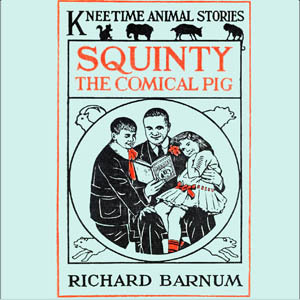 The "name" of the author who wrote this tale is Richard Barnum. It became very successful, the most well known of Richard Barnum's tales. So, if you want to laugh a little, even if you are not a child, read this book". Summary by Stav Nisser.